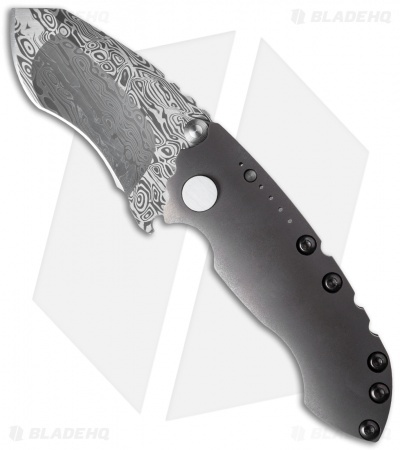 This S-90 folder is a top-notch piece from DireWare . 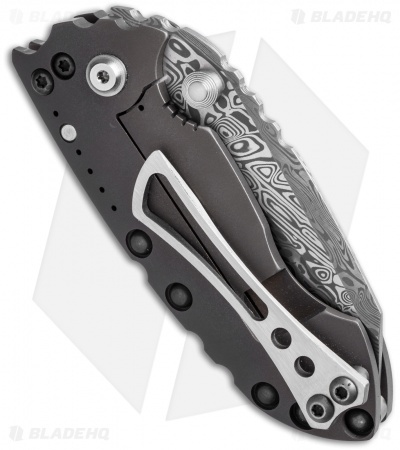 It features a Damasteel blade with hollow grinds and a flat ground tip. The open-built framelock handle is bronze finished titanium with a brushed satin pocket clip.